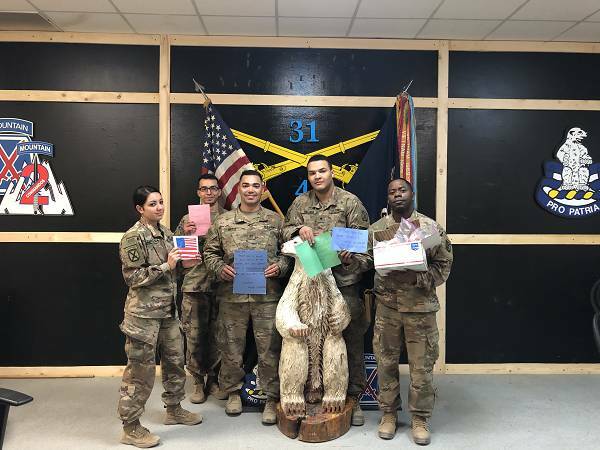 February 25, 2019 - "Thank you so much for the care packages"
Location Undisclosed, February 25, 2019, Thank you so much for the care packages. It made my guys’ day after a hard day's work to see a package for them. Thank you for your support. South Korea, 2-2019 - Support Our Troops, Thank you so much for your generous care package. It was a huge hit among the unit. Thank you for supporting us every day. 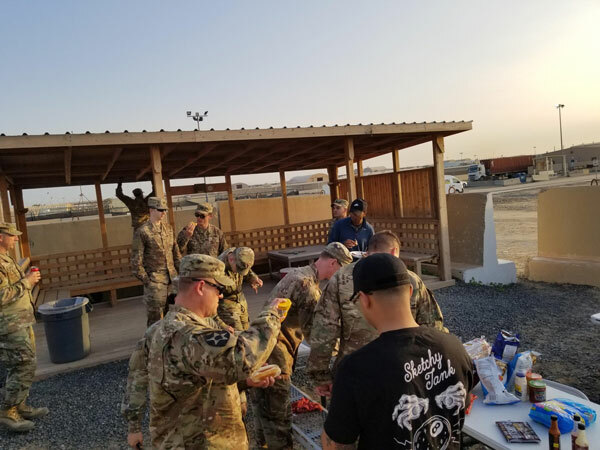 It's organizations like yours and the individuals of your organizations that help to boost our morale and motivate us when times get tough away from friends and families back home. Once again, thank you so much. 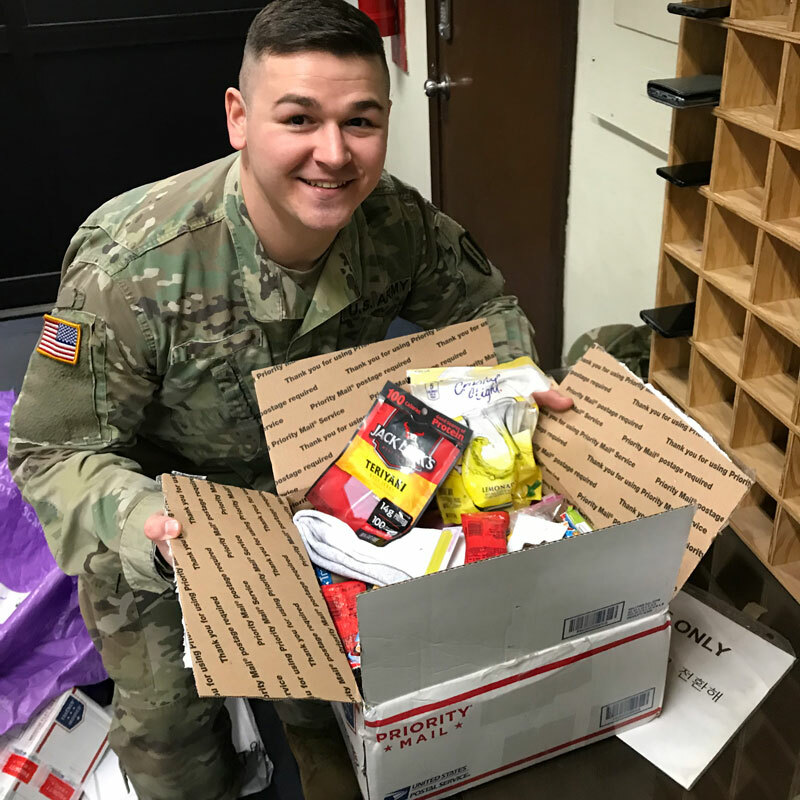 January 30, 2019, Kuwait – I received a care package on 25 January from Support our Troops. 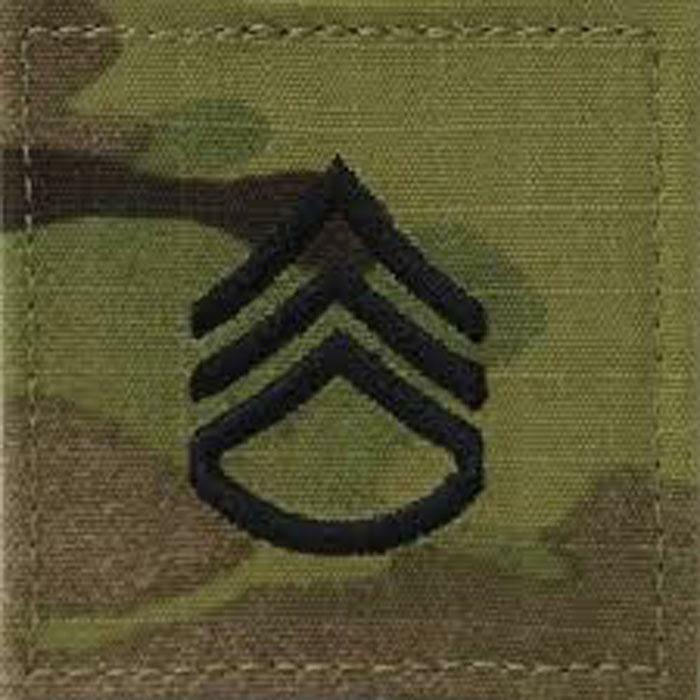 My name is H. [ ] and I'm a Staff Sergeant in the Army. I'm currently deployed to Kuwait and I've been here a little over 3 months and I'm not scheduled to leave until July. I am a Logistics Sergeant for my unit, which means that I'm responsible for maintaining accountability of all property that my unit has (about $60M worth) including trucks, munitions and weapons. I'm also responsible for budgeting funds and ordering the day to day supplies for my unit to function. Kuwait isn't that bad as some of the other places in the Middle East, but you do tend to miss home after a while...can't wait to get back:) I really appreciate the time you guys took to make a package to send to the troops, so I figured I could do the same by sending you a thank you email! Thanks for all of the support that you give and I know a lot of service members are busy dealing with everyday tasks and missions to even respond, but on behalf of myself and the soldiers abroad, we thank you for not forgetting about us! 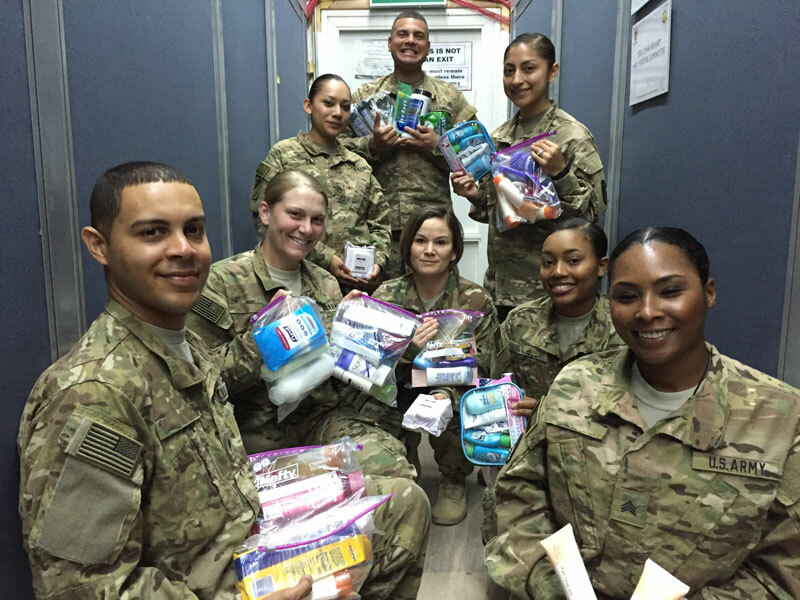 Thank you for the donation of hygiene products the Soldiers greatly appreciated it. Attached is our picture. 524th Combat Sustainment Support Battalion 1st Infantry Division Sustainment Brigade. Your care packages are a great hit with our soldiers. Our soldiers’ biggest request is for coffee, granola bars, fruit bars, nuts, beef jerky and other "healthy" snacks. Thank you America for the care packages. I greatly appreciate it. Your support is also appreciated. Due to time of mail, please to do not send anything after 15 July 2019. All of those cards and other items in the care package was greatly appreciated. Due to our work environment, we are not allowed to take photos in the office, but here are some photos we wanted to share. 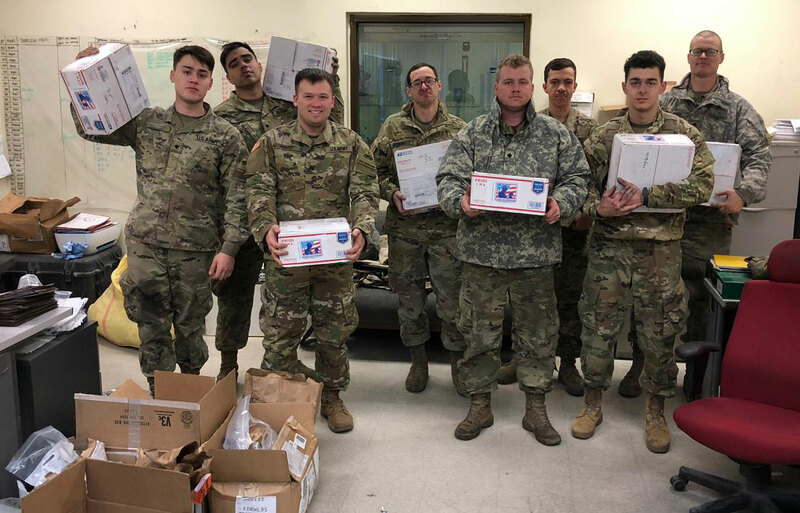 Your care packages are a great hit with our soldiers. Our soldiers’ biggest request is for coffee, granola bars, fruit bars, nuts, beef jerky and other "healthy" snacks. The cards for soldiers to send home are also a greatly appreciated. We do not have any special diet needs at this time, but your offer is greatly appreciated. 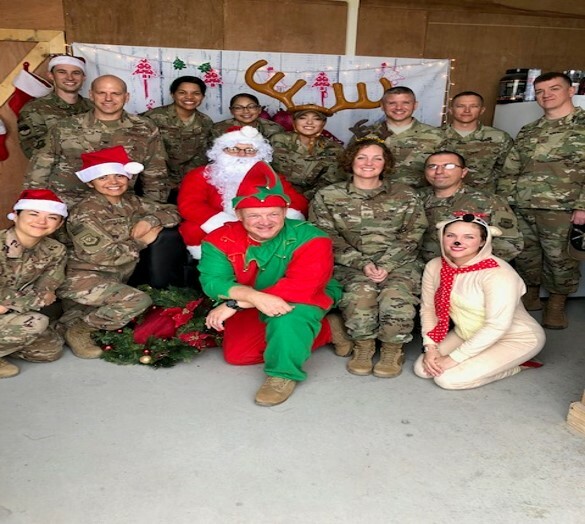 SW Asia, December 2018 - On behalf of my S-1 Shop we would like to say: Thank You for the Care Packages!!! The 2nd Brigade Combat Team (2nd BCT), 10th Mountain Division (Light Infantry) rapidly deploys trained, combat-ready forces globally in order to fight and win in combat. I am a deployed service member currently serving a 6 month tour at an undisclosed location in Southwest Asia. Recently I received an AMAZING care package from your organization. I would like to say Thank You for your support. All the items in the package were either used by me or given to another service member. The most popular items were the delicious snacks. I shared them with all my Airmen and loved to see the smile it brought to their faces. Its small things like your heartfelt care package that remind us that people back home are thinking of us. Thank you: "It is like Christmas when we open your packages"
Thanks for the Amazing K-9 Warrior Care Package! WANT TO RECEIVE CURRENT NEWS AND STORIES DIRECTLY TO YOUR INBOX? SIGN UP! * Service members, please provide a non .mil address. Thank you.